The term “mega church” might have been coined to describe Tulsa, Oklahoma’s 12,000-member Church On the Move. At services, the church’s message is delivered on a scale that rivals major rock concerts, with full-scale lighting, sound and video in a sanctuary that’s bigger than many top music venues. 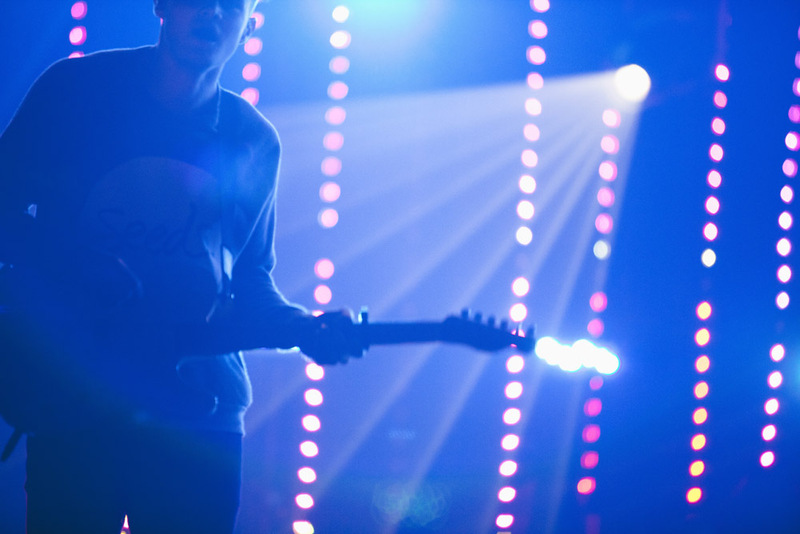 The rock concert analogy is appropriate in more ways than one – the church’s audio and video staff rent rather than purchase most of their lighting, giving them access to the latest HARMAN Martin lighting gear to complement the church’s HARMAN Professional sound system. Reliability is paramount, especially with rented gear. “I don’t want rental fixtures dying in the middle of a service,” Connell states. “After a year of use you can start to have problems but I’ve never experienced that with Martin.” Like many organizations, Church On the Move is bringing in more LED lighting for its reduced maintenance and energy costs. Since 2010 Church On the Move has enjoyed the sonic benefits of a large-scale JBL, Crown and BSS Audio sound system, comprising 38 JBL VerTec line array element hung in four clusters and complemented by 16 JBL ASB6128V subwoofers, 10 flown and six under the stage. Seven JBL AC28/95 speakers behind the perimeter of the stage provide front fill and the speakers are powered by 49 Crown MA5000i and 10 CTs 3000 and CTs 2000 amplifiers. The speakers and amps in the sanctuary and other JBL speakers and Crown amps throughout the church are linked by BSS Soundweb London BLU-160 digital audio processors, and all A/V is networked using HARMAN HiQnet System Architect software.